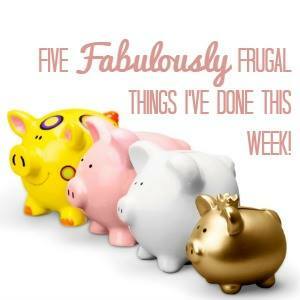 It has not exactly been a frugal week for me! This week is Cheltenham Races Week and I go each and every year to the meet. I have a blow out day too! It started with breakfast and prosecco at The Ivy Cheltenham with my friend. We backed a couple that placed so didn’t lose all our money – that said it is not a cheap day out! Listed a whole heap of things on Ebay including Chloe’s old Ugg boots, and some designer clothes including a Jack Wills gilet. I will have to share the money with Chloe but she is hoping it will go towards her holiday fund. I left Dylan in charge of cooking dinner whilst I was at the races and he requested pizza. I was lucky enough to get two from Tesco with yellow stickers. I have booked myself in for a hot stone massage at a local salon that trains students. It saves me a fortune and allows me to get cheaper treatments whilst helping the students get their hours in. Getting my eyebrows done each month takes time and money. Therefore I decided to bite the bullet and get semi-permanent brows in the form of tattooing! I am now the proud owner of my first tats in my 40’s! Over at Emma and 3 I was looking at how to save money on holidays by staying in the UK. Great ideas here! I’ve never been to the races but I don’t envy you on the spending for that! Hope you had a great time anyway. Thanks for sharing. Oooh thank you for reminding me about using local colleges for things like massages! Hope you had a lovely time at the races. I am starting to look at how to reduce our costs as we are struggling. So I am pleased to have found your linky.